Don Butler is executive director, Connected Vehicle and Services, Ford Motor Company, effective Jan. 1, 2014. He reports to Raj Nair, group vice president, Global Product Development. In this role, Butler is responsible for Ford’s global integrated connectivity vision and strategy. He leads the development of a near-, mid- and long-term plan for implementation with the goals of delivering a best-in-class customer experience inside and outside of the vehicle. Butler most recently was vice president, Cadillac Global Strategy for General Motors, where he led the development of the strategy for Cadillac’s global expansion. Butler began his 30-year career with GM, as an engineer, and went on to hold a variety of executive roles, including vice president, Global and OEM business for OnStar, GM’s telematics business, and chairman and managing director of General Motors Egypt. He left GM in 2009 to become vice president, Marketing and Product Planning for INRIX, a vehicle traffic and data services start up. He returned to GM in 2010 as vice president of Cadillac Marketing. Butler earned a bachelor’s degree in electrical engineering from the then-General Motors Institute, now Kettering University. He also holds an MBA from the Harvard Graduate School of Business Administration. He is based in Dearborn, Mich.
On the show, Don spoke about how Ford thinks about, and improve, connectivity in its vehicles. Ford thinks about connectivity in terms of content that is: “beamed in,” such as satellite radio, “brought in,” like the smartphones that interface with vehicle entertainment systems, and “built in,” when the vehicle itself is a node for communication. He also discussed how Ford has learned from its experience operating as a technology company and improving the Sync technology. In addition, he brought his significant experience from working in Egypt, which helps him make technology accessible to future populations that will be buying their first cars in the near future. 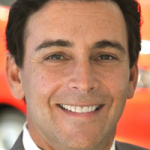 Mark Fields is president and chief executive officer, Ford Motor Company, effective July 1, 2014. He also is a member of the company’s board of directors. Formerly, Fields served as chief operating officer, Ford Motor Company, a position to which he was named in December 2012. Prior to this, Fields served as executive vice president, Ford Motor Company, and president, The Americas, a position to which he was named in October 2005. He led the development, manufacturing, marketing and sales of Ford and Lincoln vehicles in the United States, Canada, Mexico and South America, and was responsible for the transformation of the company’s North America operations and record profitability. Previously, Fields served as executive vice president, Ford of Europe and Premier Automotive Group, where he led all activities for Ford’s premium vehicle business group, and for Ford brand vehicles manufactured and sold in European countries. Prior to that, Fields was chairman and chief executive officer, Premier Automotive Group. Fields joined Ford Motor Company in July 1989. From 2000 to 2002, he was president and CEO, Mazda Motor Company, leading the company through a period of significant transformation. He held a number of positions in both South America and North America, including managing director, Ford Argentina. Fields was named a Global Leader of Tomorrow by the World Economic Forum in 2000 and CNBC’s Asian Business Leader – Innovator of the Year for 2001. 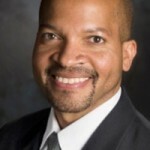 Born January 1961, Fields holds an economics degree from Rutgers University and an MBA from Harvard Graduate School of Business. On Innovation Navigation, Fields spoke about Ford’s efforts to understand vast global trends and conduct global experiments to become the car company for the future growth markets, a real challenge while also trying to execute on a daily basis. In addition, he spoke about how the company continues to implement technology to make some semi-autonomous features, but keeps the driver at the center of control, in order to keep the driver feeling comfortable and in an active role in the process of driving. Finally, he spoke on the importance of innovation in a large company, and how it is vital to not only encourage and celebrate innovation successes, but also failures, such that trying is not only okay but part of the company’s continued identity. 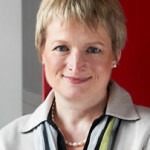 Rita Gunther McGrath, a Professor at Columbia Business School, is a globally recognized expert on strategy in uncertain and volatile environments. Her thinking is highly regarded by readers and clients who include Pearson, Covidien, Coca-Cola Enterprises, General Electric, Alliance Boots, and the World Economic Forum. She is a popular instructor, a sought-after speaker, and a consultant to senior leadership teams. She was recognized as one of the top 10 management thinkers by global management award Thinkers50 in 2013, and won the award for outstanding achievement in the strategy category. She’s also been recognized as one of the top ten business school professors to follow on Twitter, and was named one of the 25 smartest women to follow on Twitter by Fast Company magazine. In 2009, she was inducted as a Fellow of the Strategic Management Society, an honor accorded those who have had a significant impact on the field. She serves as Dean of the Fellows. McGrath is the co-author of three books in addition to her brand new book The End of Competitive Advantage: How to Keep Your Strategy Moving as Fast As Your Business (Harvard Business Review Press). On the show, Rita began by discussing her new book, The End of Competitive Advantage. In addition, she talked about companies that tend to continue to grow their bottom lines for ten years straight and how these companies aren’t really making fundamental business changes all the time, so much as they are continuously reconfiguring and deftly (re)allocating resources, with such examples as Infosys and Gore. These companies maintain stability in culture and trust while moving around internal elements of their companies. Finally, she advised managers to look for smart ways to fail, such that you can learn from it, and then make sure you have the time and resources to actually do so. Nick Bayer originally went to school with the intent of becoming a lawyer. He wanted to go out on his own in business, though, so he went into consulting to learn business skills. Feeling ready to get started, though, Nick entered the coffee business in 2005, knowing nothing about the industry per se, but sees the industry more as a hospitality one, with the coffee as the vehicle for that hospitality and customer service, and his business is thriving today. On the show, Nick discussed entering a viscously competitive market with little specific coffee experience and succeeding by seeing the business differently. He saw the industry as one of hospitality, and hired employees accordingly, then saw the movement of coffee consumption away from just in the morning, and began offering more variety and better, fresher food. Interestingly, he spoke about how they learned lessons in transparency from Chipotle and others, and remade the pumpkin spice latte, by listing the fresh ingredients used right on the cups, and it was tremendously successful. A new initiative of the company is a completely student run Saxbys location to come at Drexel University. The concept is of experiential learning to supplement entrepreneurship education in classrooms, and while it’s highly risky, the upside for its potential to benefit students is enormous, while also giving the opportunity for Saxby’s to learn about teaching new and inexperienced franchisees successful, along with how to stay contemporary with college students. Max is the Vice President of Innovation Strategy at SAP, the world’s leader in enterprise applications. In addition to his responsibilities at SAP, Max serves on the World Economic Forum’s Global Agenda Council, where he applies his research to understanding the future of consumer industries. Max frequently collaborates with the Forum for Growth and Innovation, Clayton Christensen’s think thank, where he served as a senior research fellow. Max often writes and speaks on the subject of innovation theory. His work has been published in the Harvard Business Review, the Stanford Social Innovation Review, Bloomberg Business Week, and Business Insider. He maintains an online column with the Harvard Business Review where you can see what he is currently focused. He also frequently tweets important pieces he sees on Twitter@Maxwellelliot. It’s hard to overstate just how complex SAP’s product is, and furthermore it’s implemented differently everywhere it’s used! On the show, Max discussed innovation in an environment like this. 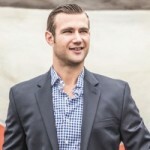 The process focuses, he says, on simplicity – innovation means putting something on top of the incredibly complex product, such that more and smaller customers can implement the core product simply and easily, and configure it to their needs, making the same results delivered to Fortune 500 companies available to small businesses. He spoke about how while it may seem that SAP’s innovation strategy is the opposite of the “deliver slightly less, for less, with rapidly developing capability” mentality of disruption, they don’t see it as such. SAP is all about entering new markets and disrupting the incumbents by leveraging some core capability of SAP in order to do the task better and cheaper. John H. “Jack” Zenger is the co-founder and chief executive officer of Zenger Folkman, a professional services firm providing consulting, leadership development programs and implementation software for organizational effectiveness initiatives. Jack is considered a world expert in the field of leadership development, and is a highly respected and sought after speaker, consultant and executive coach. His career has combined entrepreneurial, corporate and academic activities. In 1977, he co-founded Zenger-Miller and served as its president and CEO until 1991. The Wall St. Journal named it one of the 10 best suppliers of executive development. He later became the president of Provant, a publicly traded combination of 21 companies in the training industry. From 1966 to 1977, Jack was vice president of human resources for Syntex Corporation, and from 1992 to 1996, was a group vice president of the Times Mirror Corporation. Jack’s academic experience includes serving on the faculty at the University of Southern California (USC) and later teaching at the Stanford Graduate School of Business. In 2011, Jack was honored with the American Society of Training and Development’s Lifetime Achievement in Workplace Learning and Performance Award, given to one recipient per year. Because of his contributions to the field of leadership development and training, Jack was inducted into the Human Resources Development Hall of Fame. His colleagues in the training industry awarded him the “Thought Leadership Award” in 2007. He and his wife Holly both received honorary doctoral degrees from Utah Valley University. He received a doctorate in business administration from the University of Southern California, an MBA from UCLA and a bachelor’s degree in psychology from Brigham Young University. 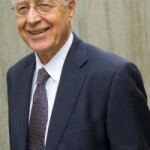 Jack served as the chairman of the board of trustees of Utah Valley University and currently is a regent for the higher education system in the State of Utah. Jack has authored or co-authored 50 articles on leadership, productivity, e-learning, training and measurement. He is the co-author of five books on leadership, Results-Based Leadership, (Harvard Business School Press, 1999) voted by the Society for Human Resource Management (SHRM) as the Best Business Book in the year 2000, the best selling The Extraordinary Leader: Turning Good Managers into Great Leaders (McGraw-Hill, 2002), Handbook for Leaders (McGraw-Hill 2004), The Inspiring Leader: Unlocking the Secrets of How Extraordinary Leaders Motivate (McGraw-Hill 2009) and The Extraordinary Coach: How the Best Leaders Help Others Grow (McGraw-Hill 2010). He is the author of two books on productivity improvement: Not just for CEO’s – Sure-Fire Success Secrets for the Leader in Each of Us (Irwin Professional Publishing, 1996) and Making 2 + 2 = 5: 22 Action Steps to Boost Productivity (Irwin, 1997). He is a co-author of three books on teams, including the best selling, Self-Directed Work Teams: The New American Challenge (Irwin Professional Publishing, 1990), Leading Teams (Irwin Professional Publishing, 1993) and Keeping Teams on Track (Irwin Professional Publishing, 1996). On the show, Jack spoke about Zenger Folkman recently completed a large project to identify those individuals who are truly great at innovation and what distinguishes those people. In addition to having a long-term, customer-focused vision and a lot of trust from their colleagues, these people tend to have real reciprocal trust, in the sense that highly innovative individuals are often wonderful to work with, and members of innovative companies can trust that being moved around isn’t a sign to leave the company, it’s normal and the employees trust in being moved and restructured. In addition, he spoke about complement skill sets – just as runners also bike, swim, lift weights and so on, it’s good to recognize that some traits complement one another. The connection doesn’t need to be clear, just the statistical connection. Jack connected this to his pharmaceutical experience, wherein he saw drugs connected to outcomes without mechanisms being entirely clear, and this makes him comfortable identifying complementary skill sets that can cross-trained to make innovators even more effective.